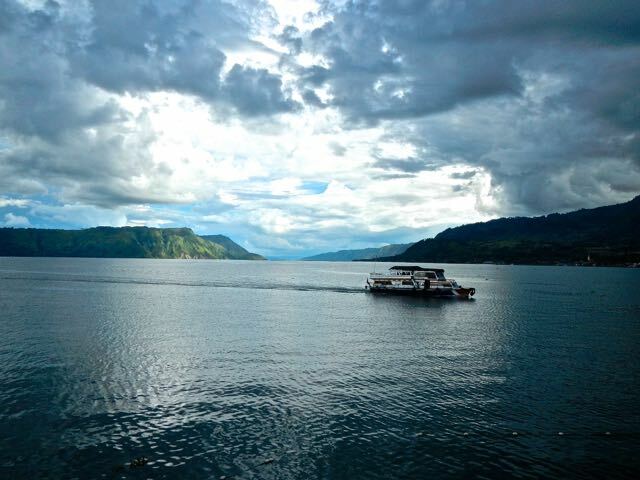 Lake toba is the largest volcanic lake in the world, and a supervolcano. About 70,000 years ago it had a climate-changing eruption, which is the largest in the last 25 million years. It deposited 20-30 feet of ash on some parts of South Asia, and killed much of the human population, which some believe created a population bottleneck. The lake is up to 500 meters deep. Here is the history of Lake Toba. In the lake is Samosir island, measuring 100km long and 30km wide, which is the largest island within an island in the world. It’s created by a resurgent dome. Here’s some interesting stuff about the island. There is a tiny little peninsula on the island, about 5km to go around it, called Tuk Tuk. The first stop of the ferry is here, in Bagus Bay. This is the area to stay on the island. I made my way to Liberta Homestay, which is a collection of bungalows right by the lake. Mine is a perfect little home with a porch in front that looks into nothing but green, and is just a skip down to the lake. Might be one of my favourite bungalows I’ve ever had at four dollars a night. Oddly, it smells like my grandparents basement in Illinois. Brought back memories of sneaking down and looking for ice cream in the freezers as a kid. I was always sure that it was extremely haunted by the bad type of ghosts. Mr. Moon runs the place, and makes you feel right at home. They serve up some delicious plates of food, and most won’t cost you more than a dollar. The woman and all the young boys who work around the place are super friendly and love trying to have a chat with you. 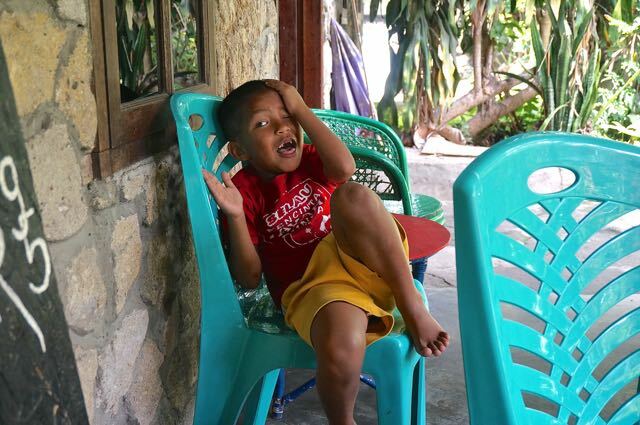 Lius, the youngest boy is a crack up, and you have to give him a go at chess. He’s seven and beats me at least half of the time, and proceeds to dance around and shove it in my face. Hurts to be shown up by a seven year old. I wanted to go explore in the jungle so Mr. 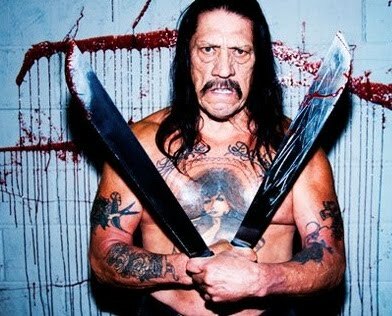 Moon was nice enough to give me one of his machetes to take with. I probably didn’t really need it, but it’s fun being able to chop things down in your way. There’s a massive waterfall that comes down almost the entire side of the island top, it’s pretty hard to miss. I wanted to get up there, and he told me where I should head in from the road. The last thing I needed was an unsuspecting backpacker who I could convince to join me. Just my luck, a dutch guy showed up named Sven, and I told him about the easy little waterfall hike I was about to embark on. He had come off a night bus, and hadn’t had anything to eat all day. I think all he really wanted to do was chill, but it was just an easy hike up to a gorgeous waterfall according to me. About halfway up in the middle of the jungle, as I was hopping from trail to trail, I think he might have realised his mistake, he followed a crazy American guy with a machete up into the jungle. Eventually you could hear the rushing of the water and we made our way closer and closer. It was all worth it when we got up to it, covered in mosquito bites and rashes from the plants. After some climbing and scrambling over boulders, we made it to a pool to swim in. The sky opened up and a down pour unleashed on us, throwing in some thunder roars. The way down was barefooted slippery scamper through the mud. My feet are officially wrecked. My right heel is still jacked up from sliding down a banister this summer, and the morning I woke up naked in Melbourne, I had a bad sprained right ankle. After that hike, I’m a bit of a gimp. Getting back to Tuk Tuk, we crossed through all the rice patties being worked. Something about them is beautiful calming to me. The locals on the island are extremely friendly and interested in you. As you walk around there are constant hellos and giant smiles coming from all directions. On our way back down, a guy in front of his house waved us over and wanted us to come in. There were over ten people in the small house, and a lot of little kids. Nobody spoke a word of english. They brought us into the kitchen and gave us stools, and then we all just sat there smiling at each other, and after a few minutes we excused ourselves. Those kinds of random encounters happen a lot here. I think they are very proud to have a guest like us in their house. 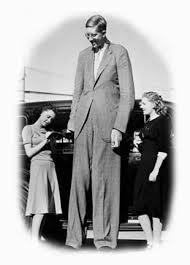 Being in places like this as a tall white guy with blonde hair helps me understand how the celebrities feel with the paparazzi. It took me an hour the other day to get ten minutes down the road. I had three groups of young girls who wanted to interview me. It’s always the same questions; where are you from, what is your name, how old are you, do you like Indonesia, how long are you here for, whats your favourite food (which they always think is pizza), are you married, where is your family, and stuff like that. Sometimes I’ll give some goofy answers just to see the look on their faces. After the questions it’s picture time, and more like full on photo shoot time. First is group photos with everyones phone, then individual pics with each one of them. It isn’t just the school girls wanting photos though. I’ve probably already posed for over a hundred pictures with little muslim women, babies, old men, you name it and I guarantee I’ve been photographed with it. I really don’t mind, but it’s kind of strange to think about, all the hundreds of pictures that are out there of me and Indonesians. Every once in a while I’ll pull out my camera and get one too. It was funny, after all of that, the girls each wanted me to sign there notepad and write my name under it. They all asked for my Facebook, but I put a different last name. The last thing I need is a bunch of twelve year old girls posting on my Facebook. 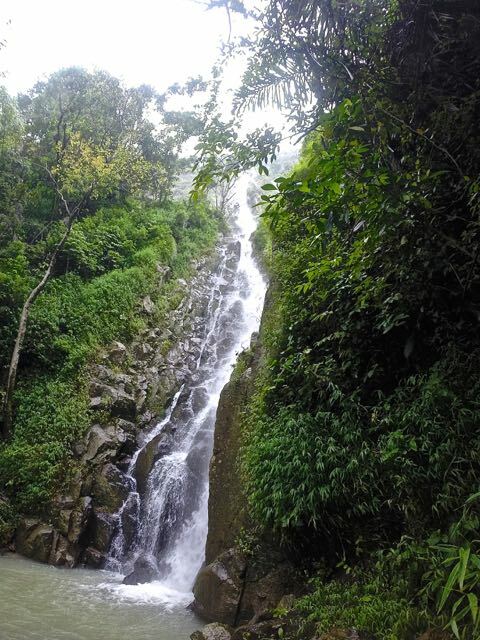 This entry was posted in adventure travel, Indonesia travel, Photography and tagged indonesia volcanoes, lake toba volcano, liberta homestay tuk tuk, samosir island, waterfall hike lake tabo, where to stay lake toba. Bookmark the permalink. Love the stories about the locals you meet. Hope you haven’t screwed your foot up for some good golf!